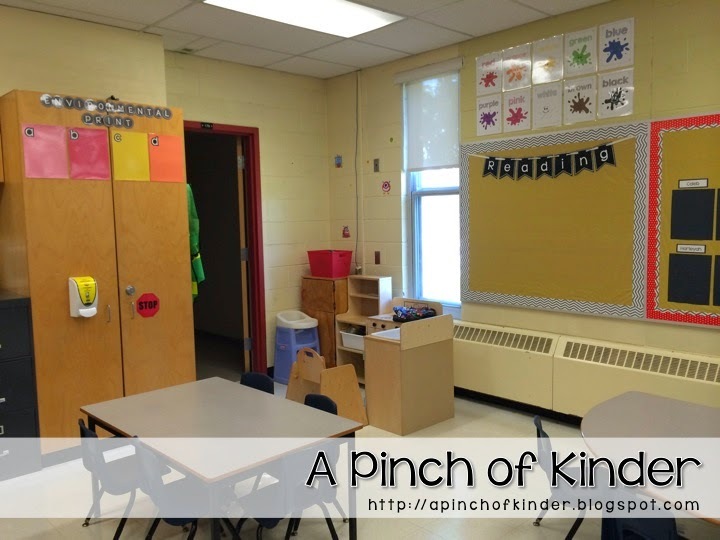 2 weeks ago I walked in to my new classroom for the first time.. and man was it BARE! I knew that I had a lot of work to do before the first day of school! I took a lot of before photos but I won't bore you with too many. Here are the AFTER photos! The view from the door. View from the front of the room. 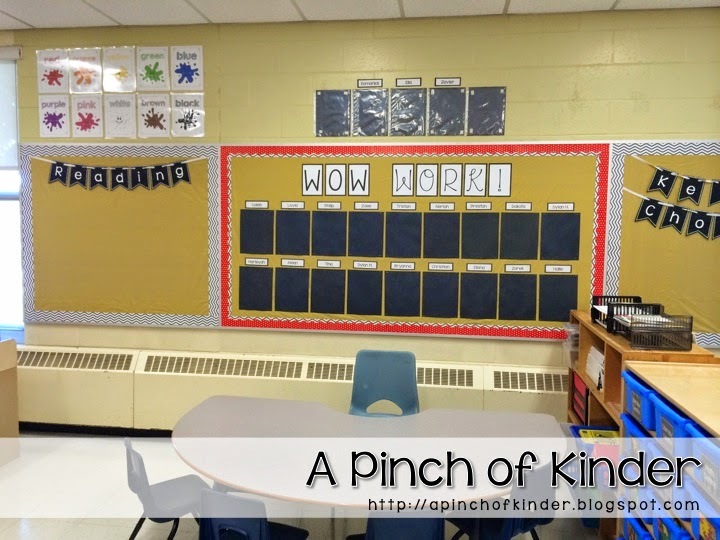 I learned about the removable word wall and it was one of my favourite things in my classroom last year so I had to recreate it in my new classroom! I spent a small fortune on velcro.. but it's going to be worth it! The word wall alphabet are a freebie from Little Minds at Work. My alphabet, daily schedule and book boxes. 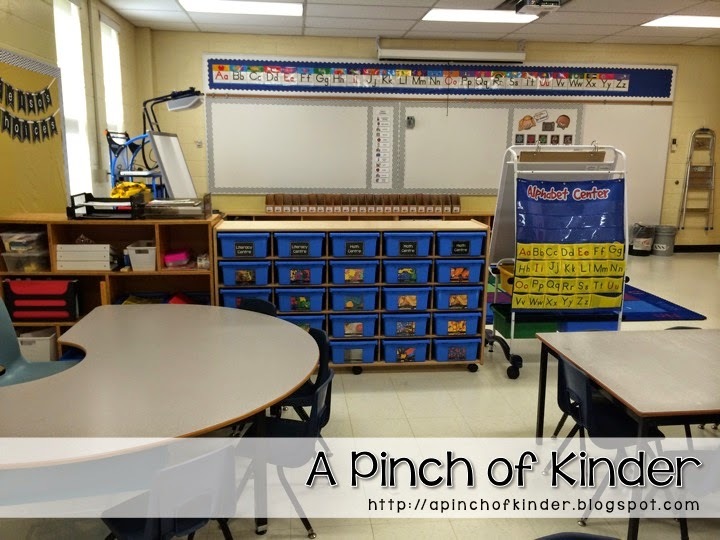 Levelled books and manipulatives underneath. I'm in love with my birthday board from Glue Sticks & Crayons! 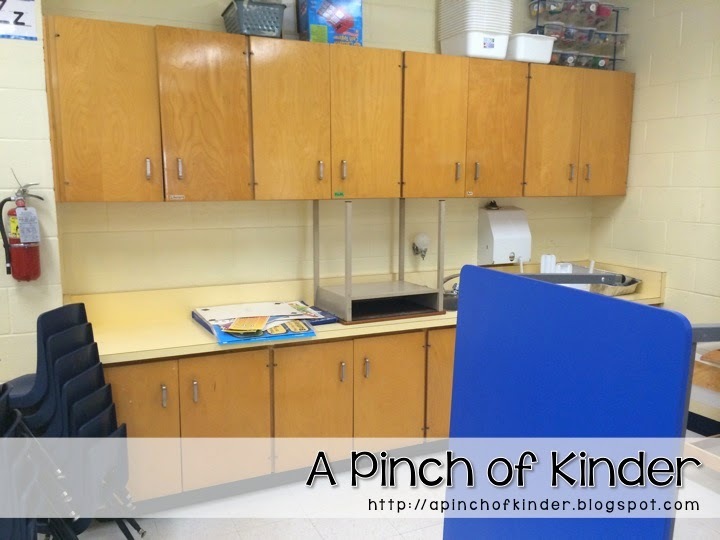 The sand/water table is on the left and the easle is tucked in between the sink and the cabinet. We are not opening these yet and will slowly introduce these centres. My environmental print wall is not finished. But that's ok.
and tape them as the week goes on. Colour posters are from Abby's "Color Me Kindergarten" pack. I will display the students "writing" on our Wow Work! Wall. I just got two new students today so their names are still missing. It's on my to-do list this weekend! And this is my table for guided groups. 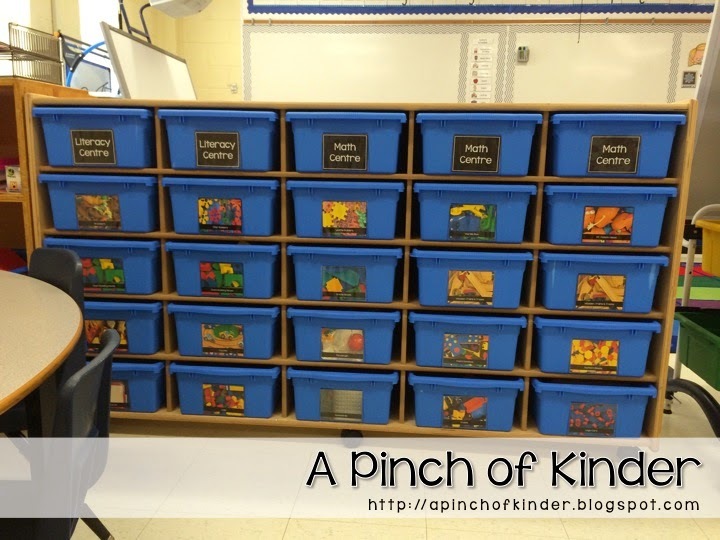 I have these amazing tubs to organize my manipulatives in. I took a picture of the inside of each bin and made labels. 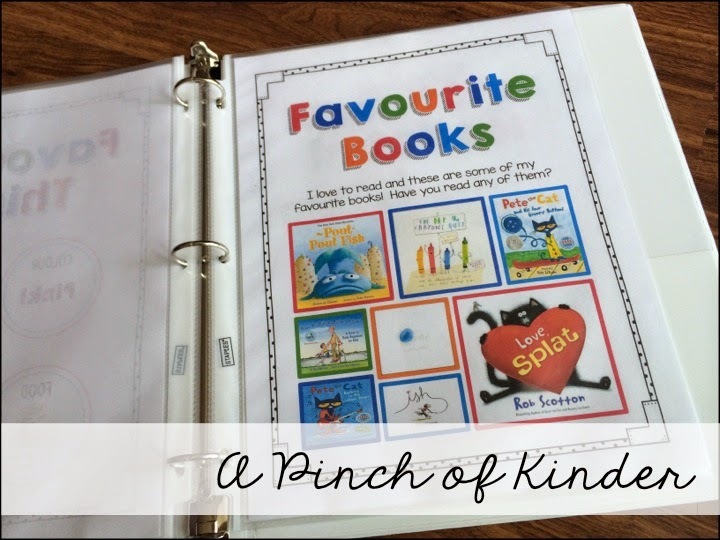 If you want them they are a freebie on TpT! To see them click here. I still have some finishing touches to do but for the most part I think it's ready! 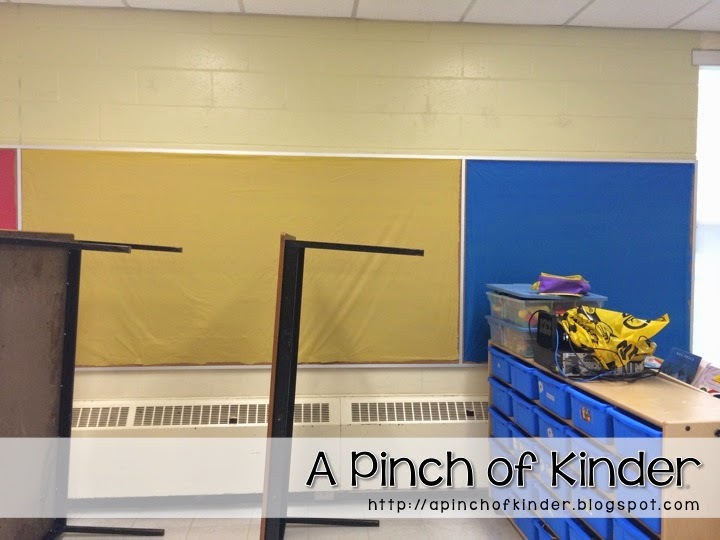 This was the first time I had to do so much to get a classroom ready! I hope the kids love it! 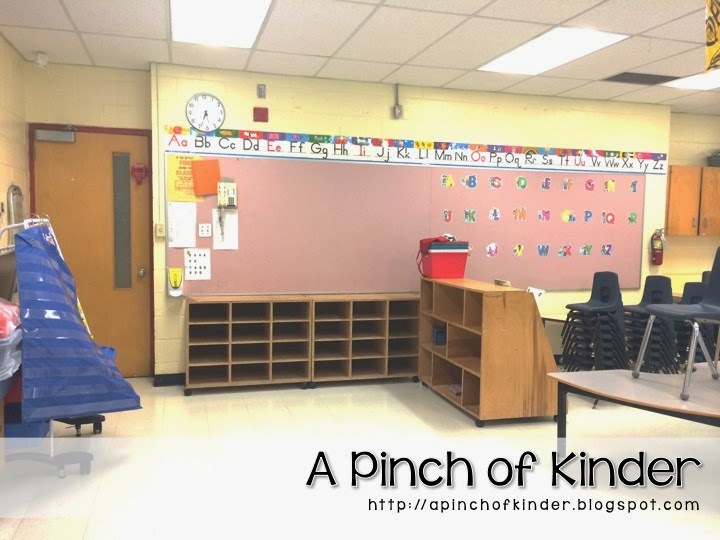 What I love to teach: WRITING! What do you love to teach? 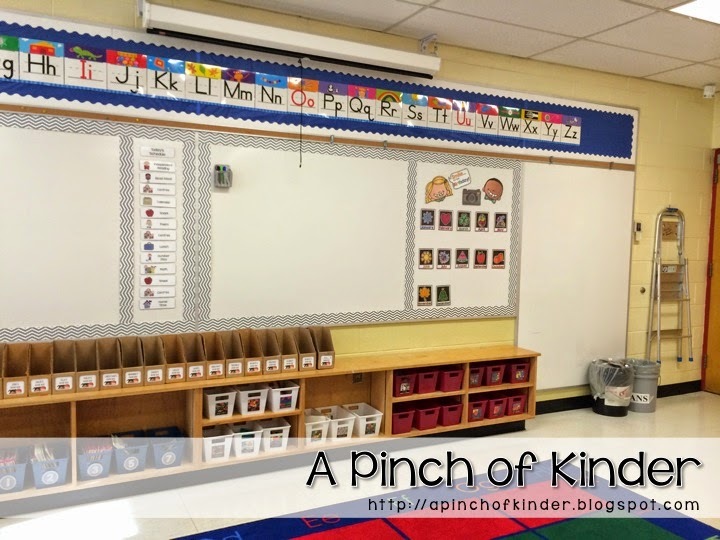 I love to teach writing but it can be super tricky in the beginning of the year. 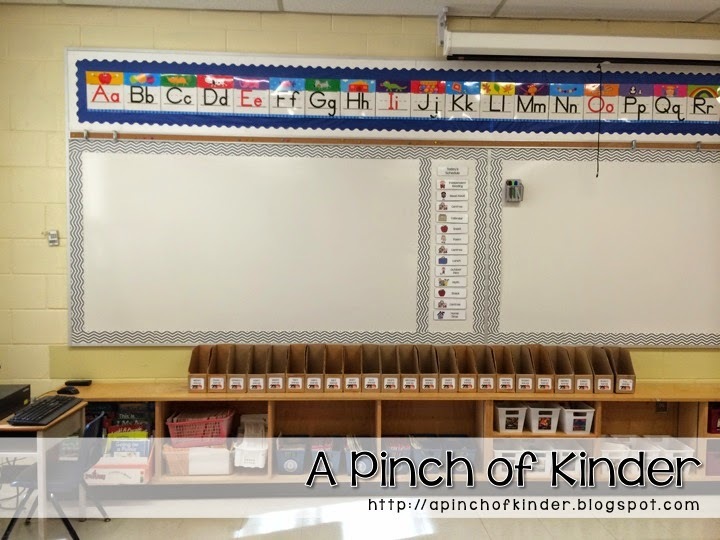 Most of my JK's come in without being able to write their name and the whole class usually needs A LOT of support. Today I'm going to share one thing I do so that I'm not running around like a chicken with it's head cut off during writing time! Last year I spent 30 minutes on writing. writing for 20 minutes, especially at the beginning of the year. This was especially true for the students who could yet write their name. So during writing time, their first job was to do their name tracing practice. Students trace their name on the front and try their best to print their name on the back. We use washable markers. When they are done a teacher looks it over and if it is good we give them a wet rag to wipe it off. Once they returned their cleaned name printing sheets they are given their journal and they draw a picture in their journal (adding labels if possible). 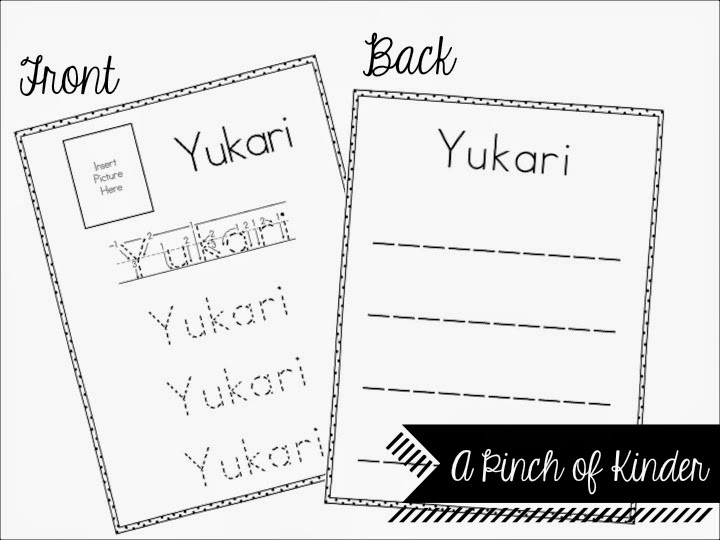 I don't have any pictures of the name tracing practice pages that I used last year so I made a freebie! Click on the cover below to download it! 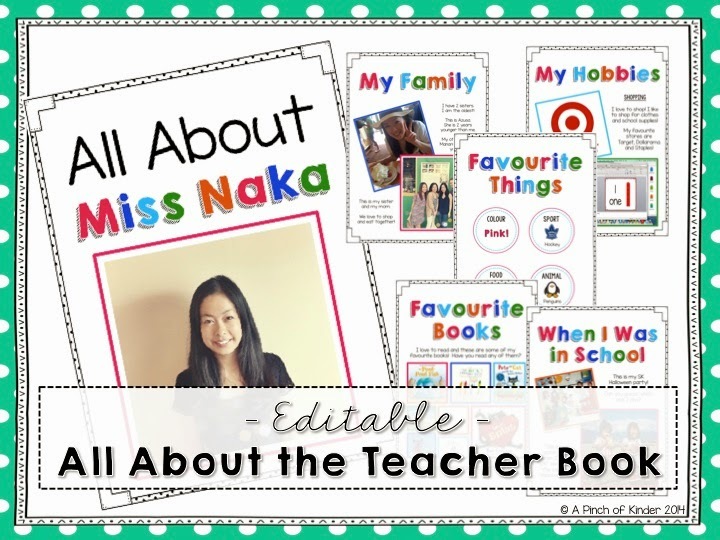 It is editable so you can add your student's name. Be sure to download and install these 3 fonts by clicking on the font names below before you download the freebie so the traceable font shows up properly! 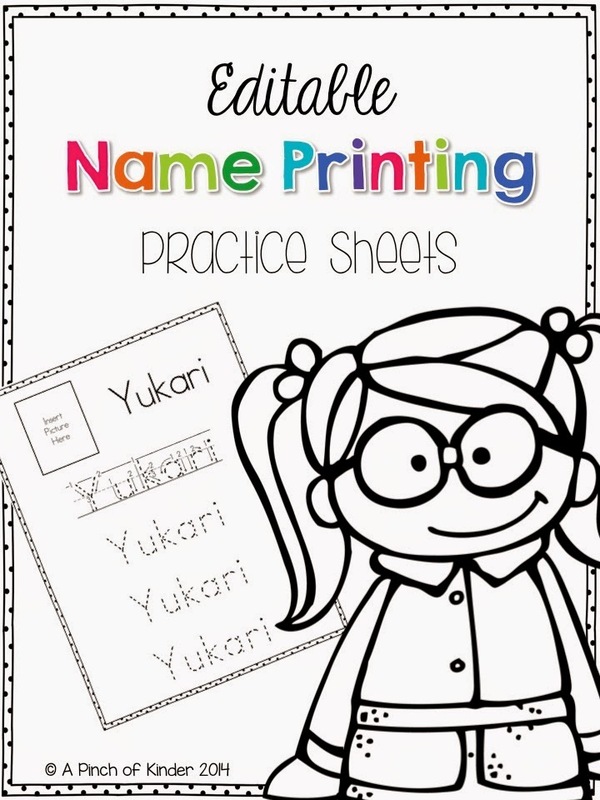 I laminate these and the students use a washable marker to practice their names. After me or my ECE checks their work they get a wet cloth from us and they get to erase it and return the sheet. 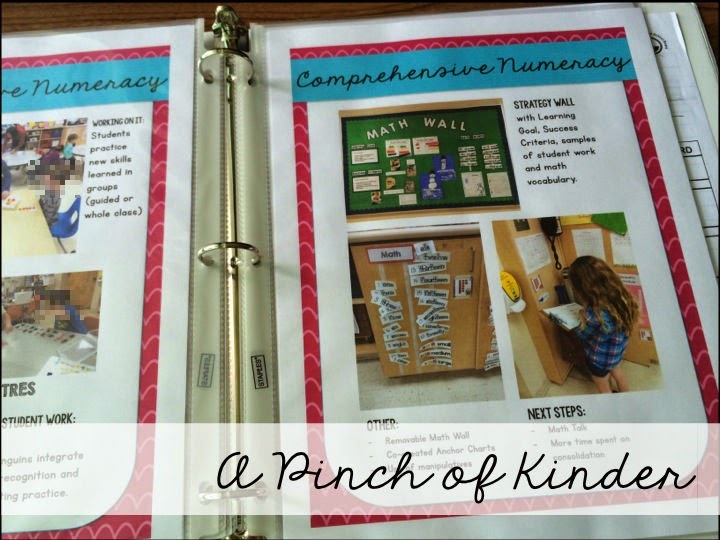 Crystal from Kreative in Kinder has great blog posts on Writer's Workshop! 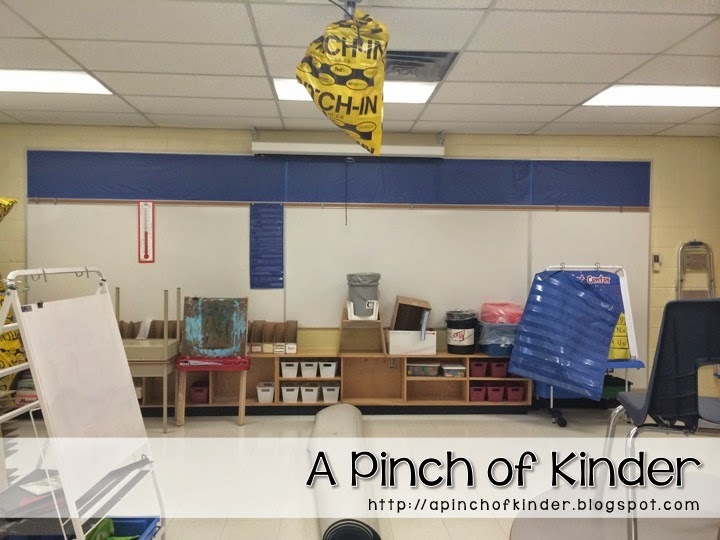 Here is a link to the post about labeling and writer's workshop. 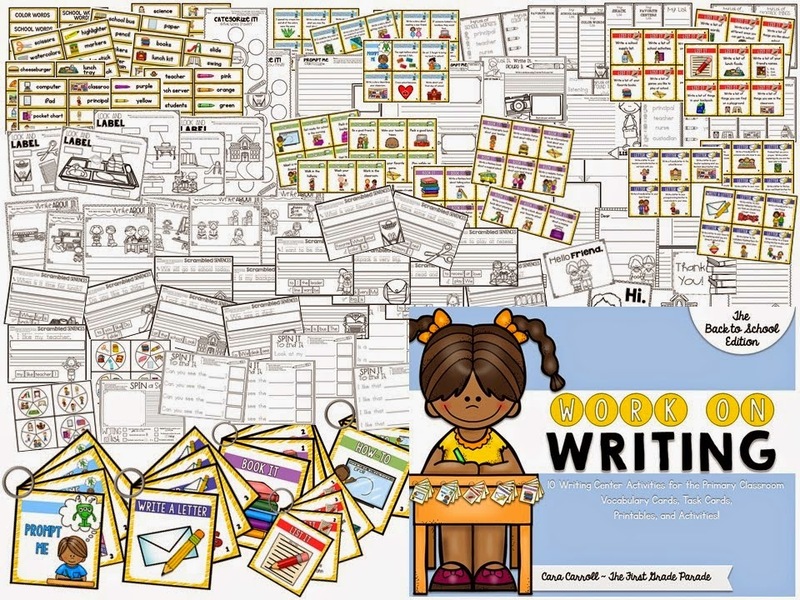 you can read all of her writer's workshop posts! Kreative in Kinder: Writer's Workshop Labeling! 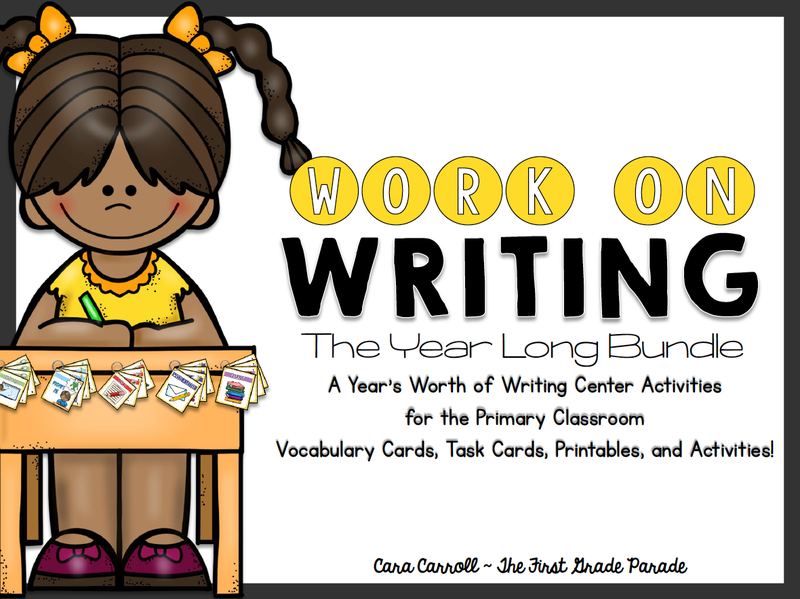 I am super excited about using Cara's Work on Writing Bundle this year! 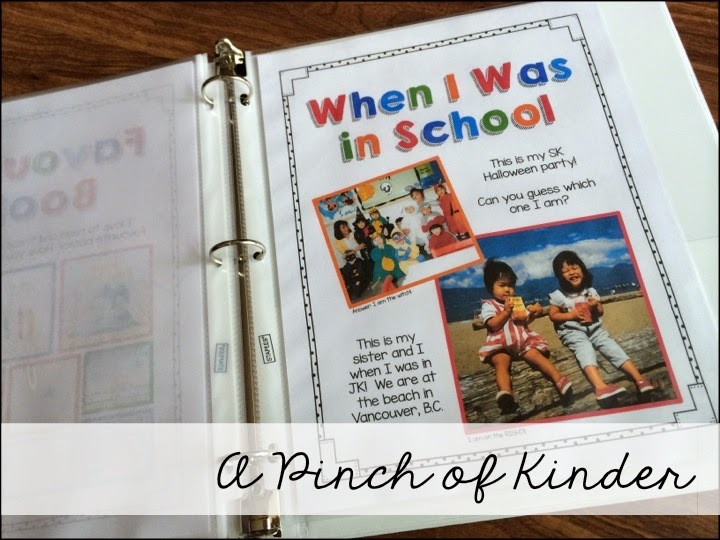 I was an editor for her Back to School Edition and I was immediately hooked! 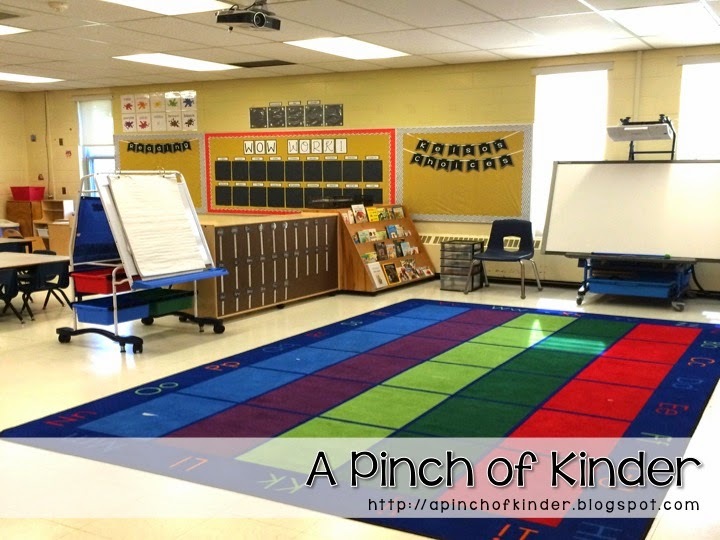 It is intended for first grade but there are lots of kinder friendly options. And it's going to be like Christmas every month as a new pack will be added every month as the year goes on! Click on the images above to check out the Year Long Bundle! 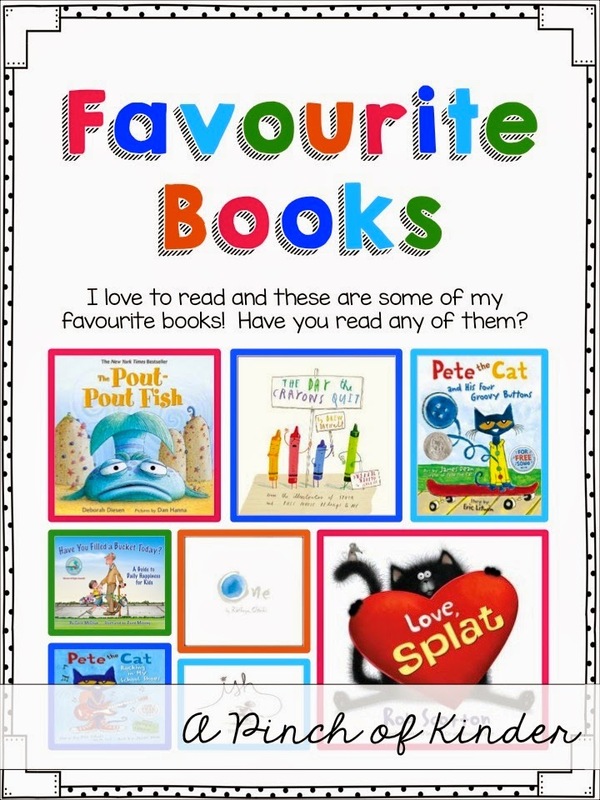 What are your favourite resources for Kindergarten writing? 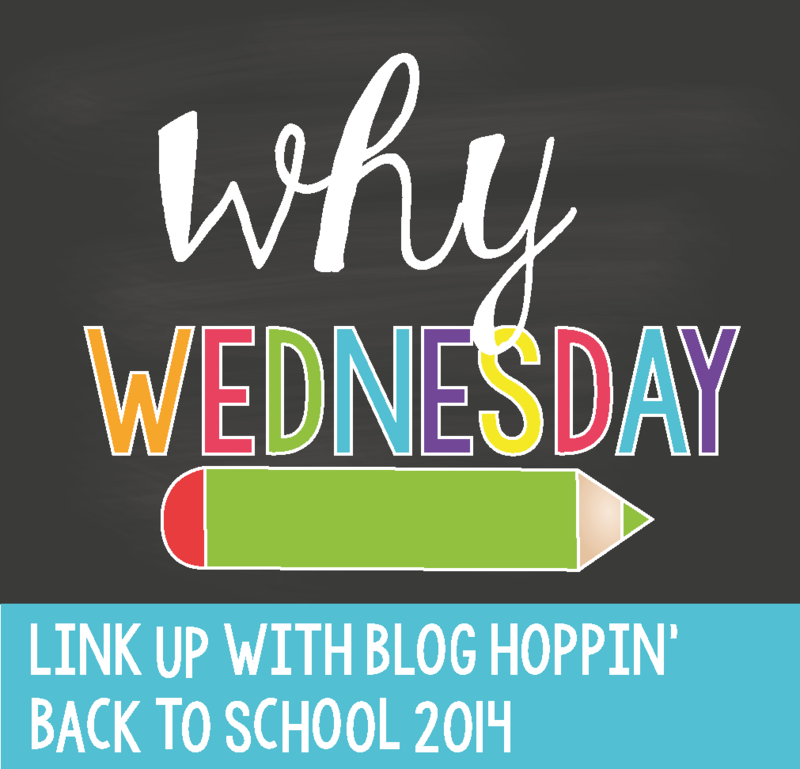 It is day 3 of Blog Hoppin's Back to School Linky and today's topic is organization. 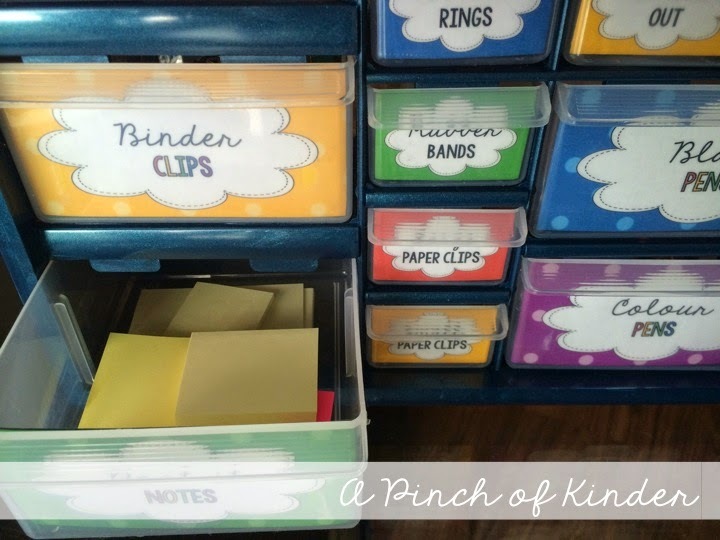 I try to stay organized but to be honest it takes a lot of effort. I can use all the help I can get! in all the days I already know will happen this school year before school starts. That includes holidays, no school days, PD days, holidays we celebrate in the classroom etc. That way I (almost) never forget special events and meetings! Another thing I added this year is the "Big Ideas" column on the right. I did this last year but I was constantly just writing it in by hand. 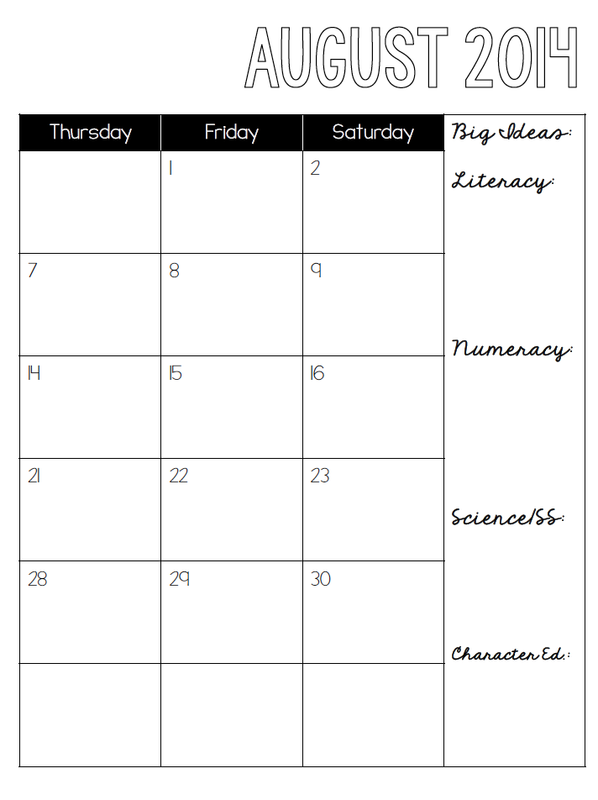 This way I can jot it in at the beginning of the month and it will help me plan. 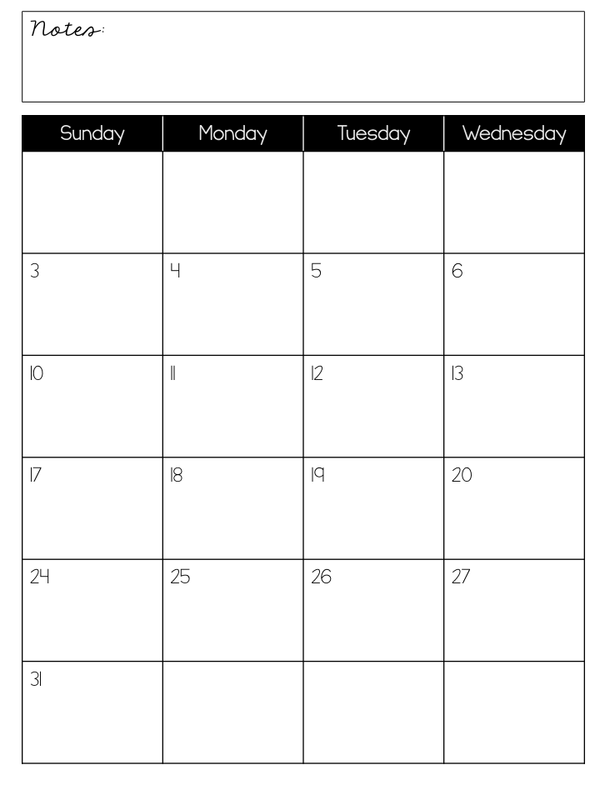 I'm offering these calendars for free! They are August 2014 - June 2015. 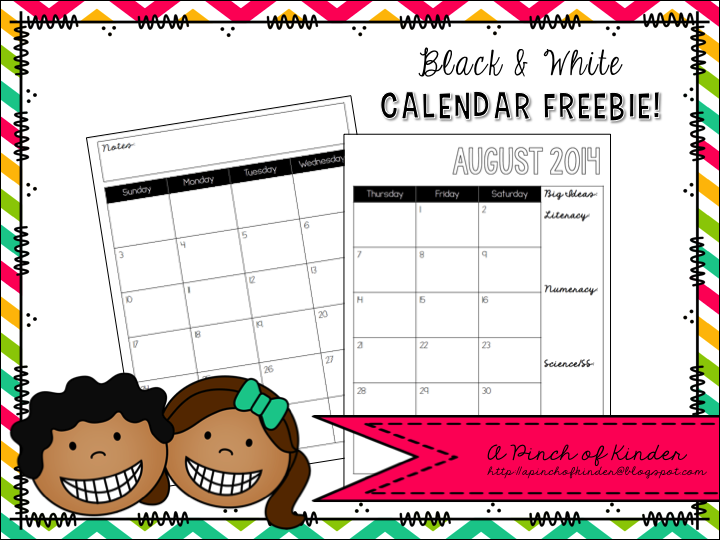 Click on the picture below to download the freebie! 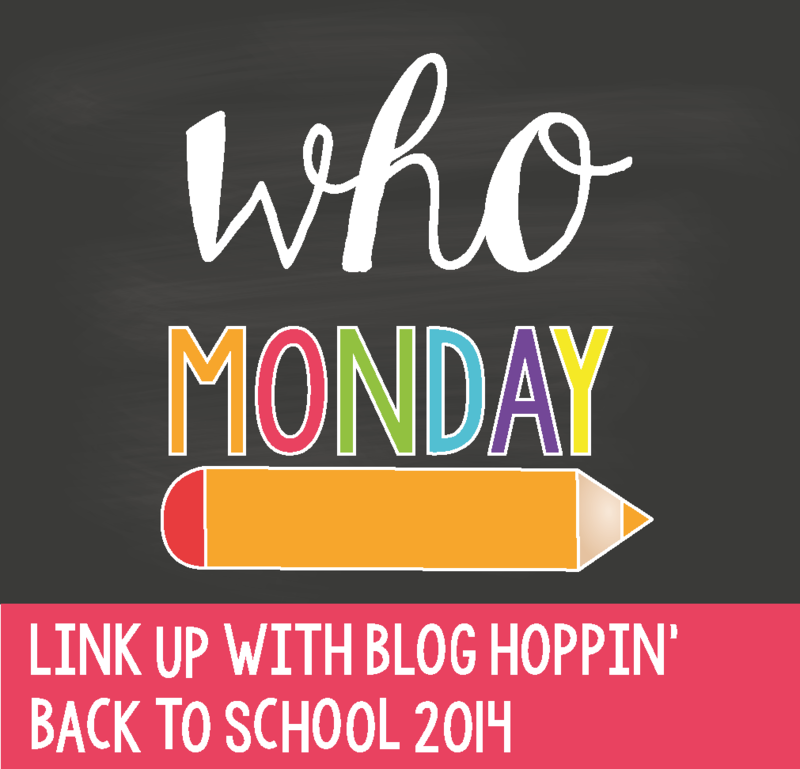 This is the first year I am linking up with Blog Hoppin' and their Back to School 2014 Linky Party. I look forward to these every year! 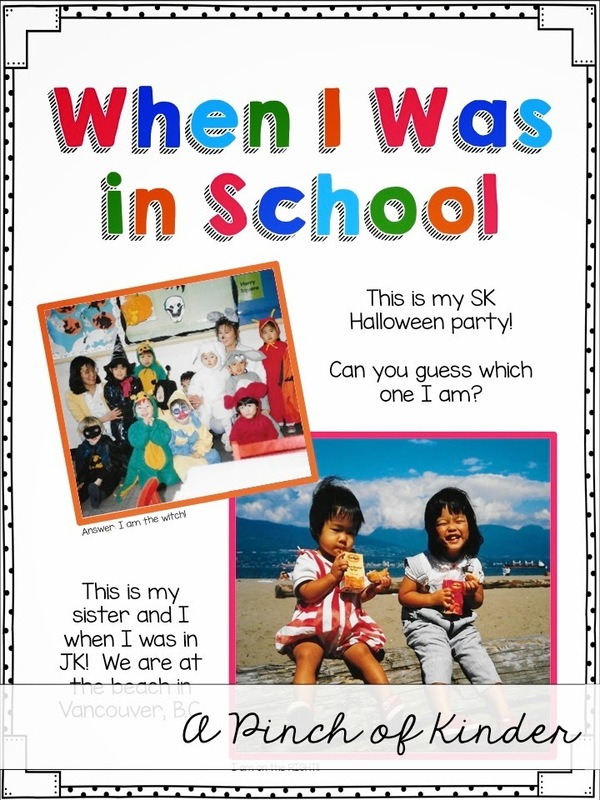 This year, I wanted my kinders to know who I was right from the beginning! 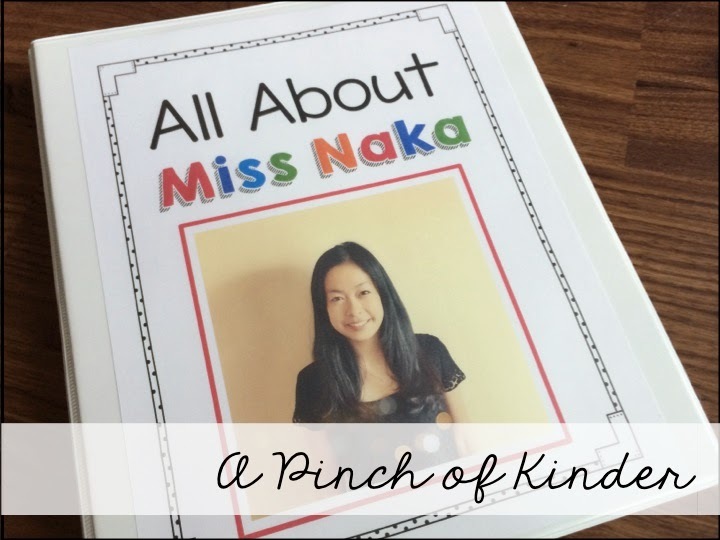 I got the idea to make an "All About Miss Naka" book from Sarah at Yeehaw! Teaching in TEXAS. I saw her All About Miss Taylor book about 2 years ago and finally crossed it off my to do list! To see her version click here. I made the pages in powerpoint, printed them out and put them in sheet protectors. I'm hoping the kids will love it! 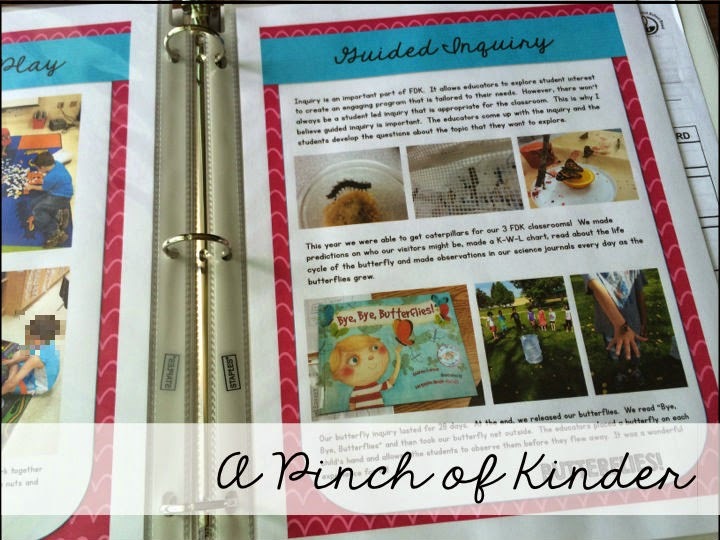 *I made this file editable and posted it to TpT! 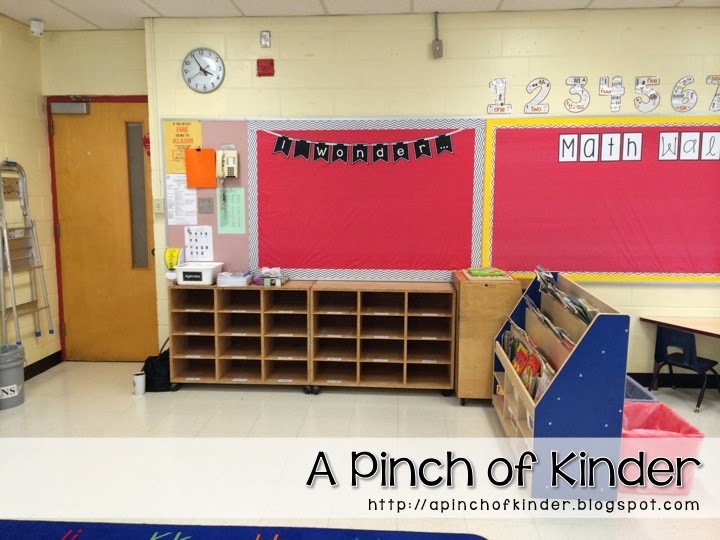 Have you ever made an "All About The Teacher" book? 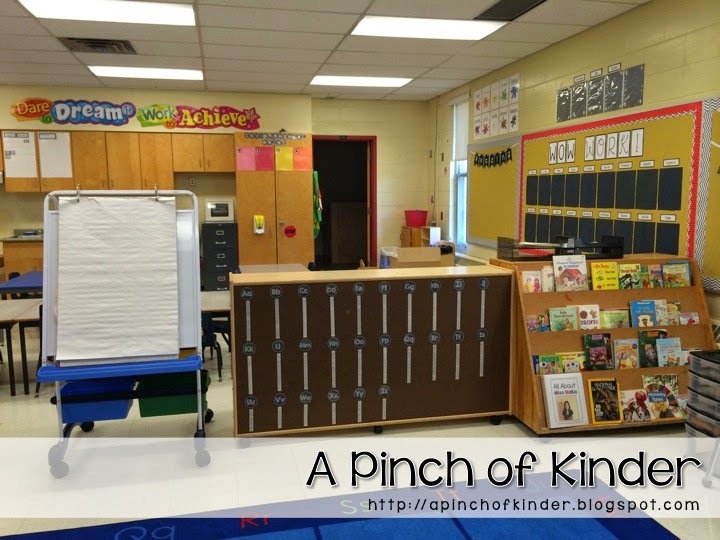 This is my second post in my "Getting a Teaching Job" series! 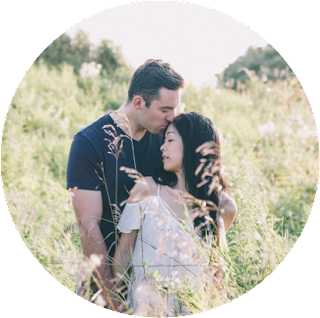 Today I am sharing one of my favourite interview tools.. I am a LTO teacher. This means that I have to interview for a new position every time my contract ends. This year I have a contract for the whole school year but it will end in June 2015. Then I will be back to interviewing for positions for the next school year! Now I know there are mixed feelings about teaching portfolio's. But I am all for them. I usually update my porfolio at the beginning of July (or whenever I finish a contract). This allows me to reflect on things that went well that year. I find it's like making a cheat sheet. want to talk about in my interview. 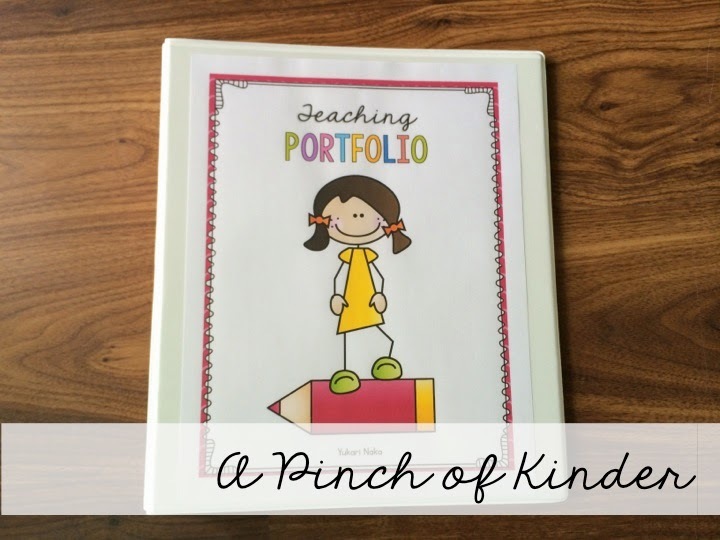 Principals won't always want to see your portfolio. the pictures can clarify what you are talking about. and anticipate some pictures you could show. 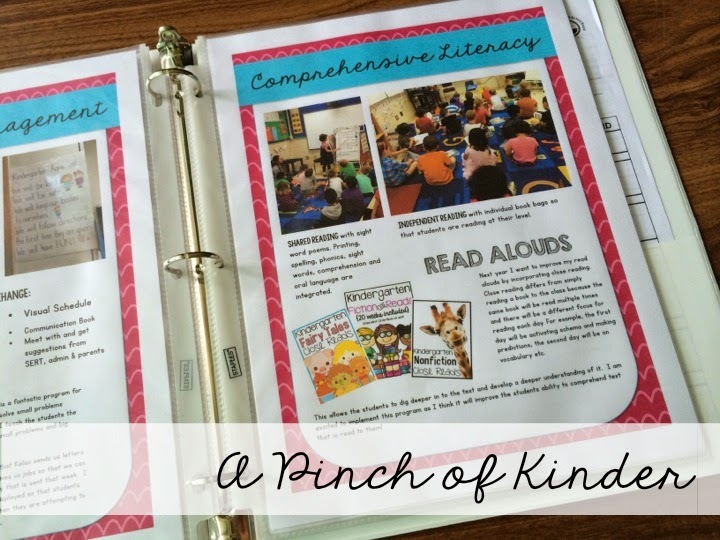 Below I listed the pages I include in my teaching portfolio. I bring my portfolio with me and bring it in with me when they call my name. Then I set it on the table so it is visible to the interviewer. and you have easy access when you want to reference any pictures in your answers. 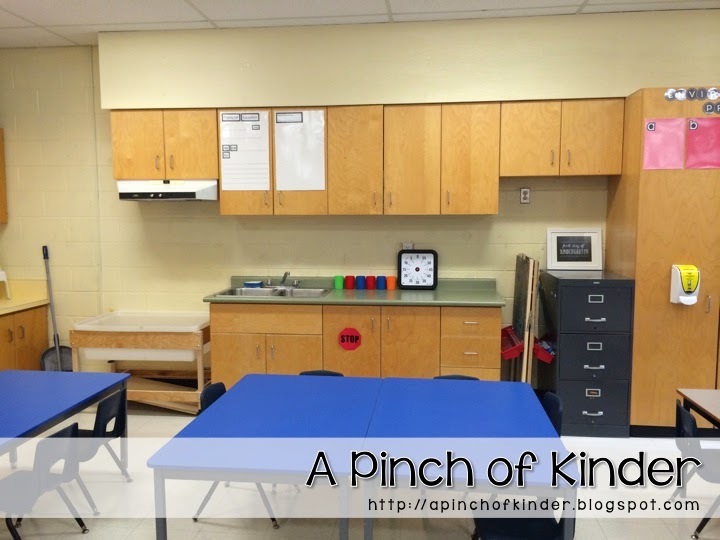 Here are some pictures of the inside of my teaching portfolio! to take with me to the interview in the front inside pocket. I also clip my business card that I've had since my supply teaching days. back to the school to supply and give them my business card at the end of the interview. I also stick a thank you card in the inside pocket. I always write a quick thank you note to whoever interviewed me after my interview. I write it in the office after my interview and usually leave it with the secretary. If I forget or the secretary is not there, I will send the principal a quick thank you e-mail instead. but I have been pretty successful with this strategy and it only takes a few minutes! I create my pages in PowerPoint, print them out and stick them in sheet protectors. That way it is really easy to reorder or add pages if needed. One time a principal asked me to talk about a lesson that went well. I would change for next time as well even though the lesson went well. 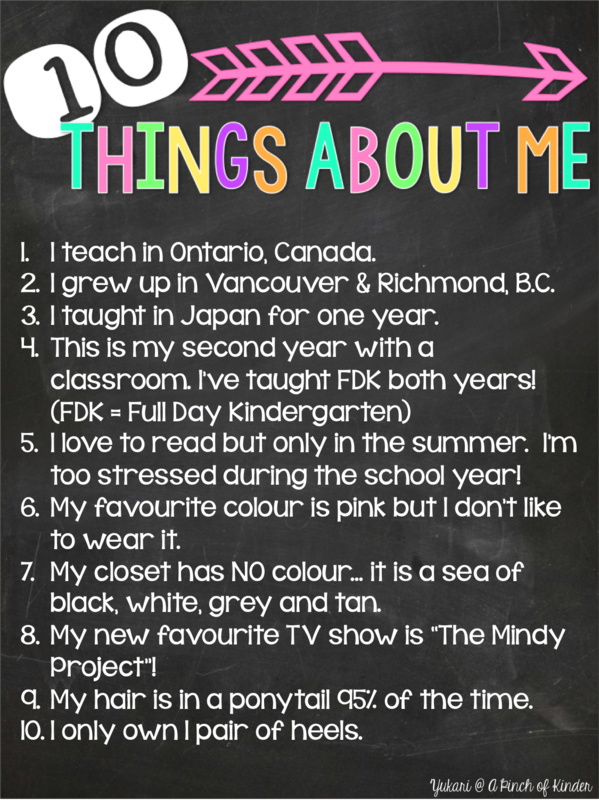 because it shows that I am a reflective teacher who is always looking to improve. some things I want to try implementing. 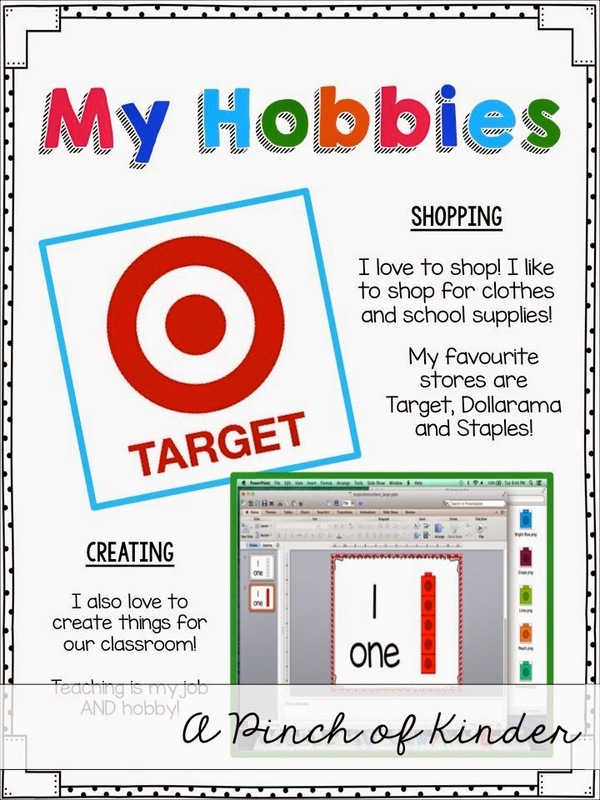 I've heard some teachers using iPads or laptops and sharing their digital portfolio in interviews. 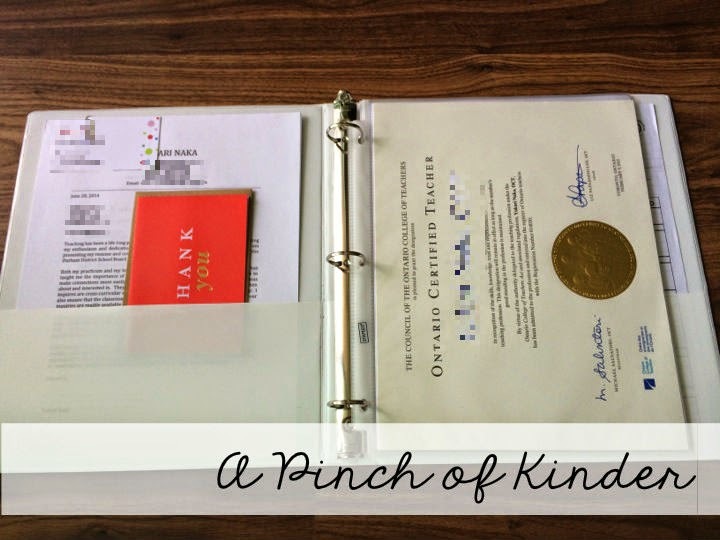 I like the convienince of having it in a binder. If I get an iPad though I might consider trying out a digital portfolio! 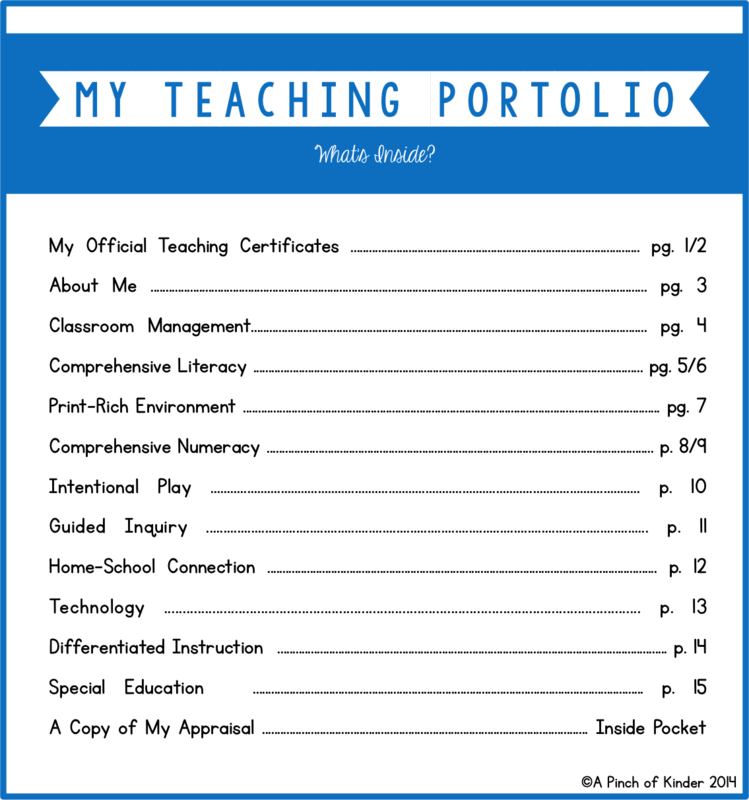 I hope this post is useful for anyone thinking of making their own teaching portfolio. 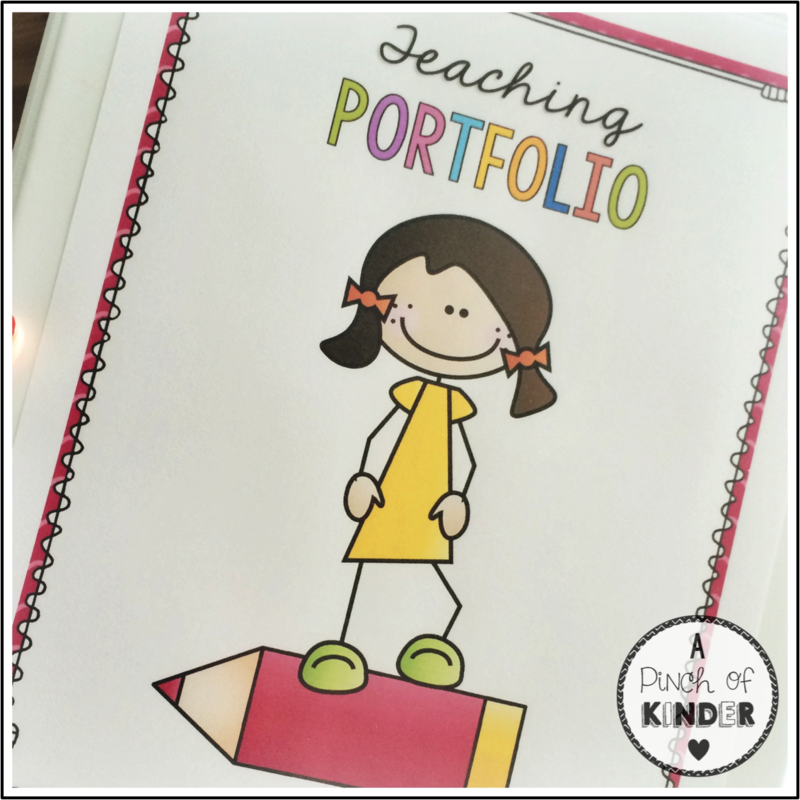 Do you have a teaching portfolio? Do you include anything I don't? 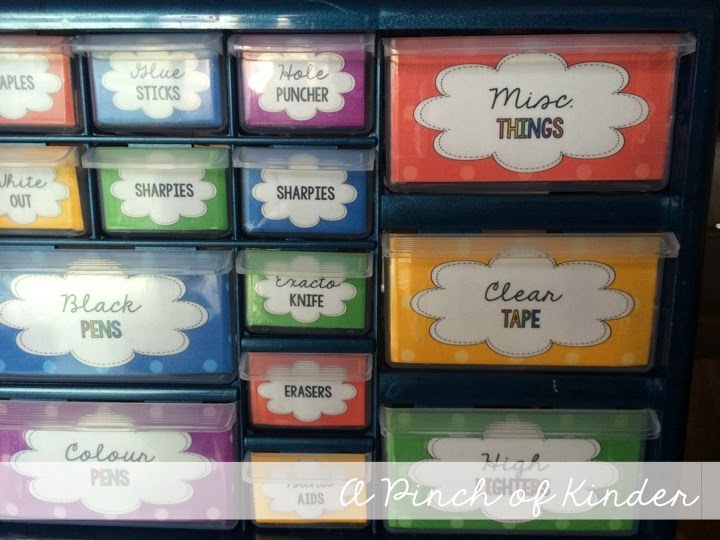 Last week I finally went out and bought materials to make my teacher tool box! I have been wanting one of these for about 2 years and finally purchased the organizer. The one I bought is the Stack-On 22 Drawer Storage Cabinet from Lowes. 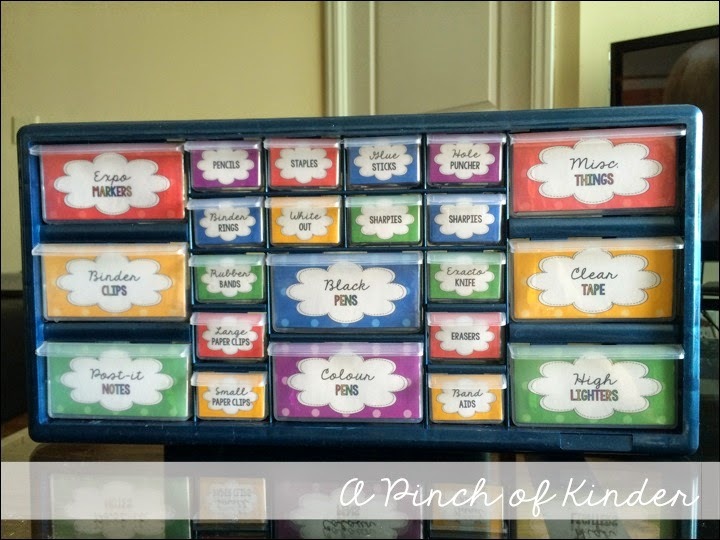 These labels were the first items I posted in my TpT shop! The non-editable ones are free. You can get them by clicking on the button below. The editable version is $2.00. 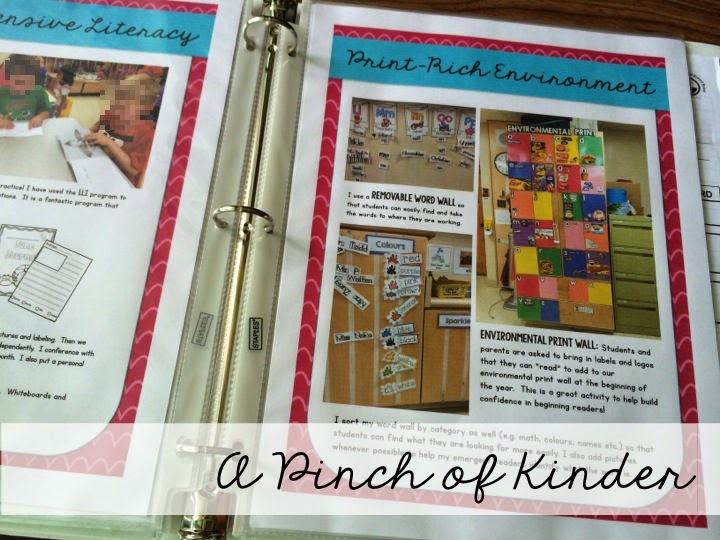 Click on the cover to see it on TpT! 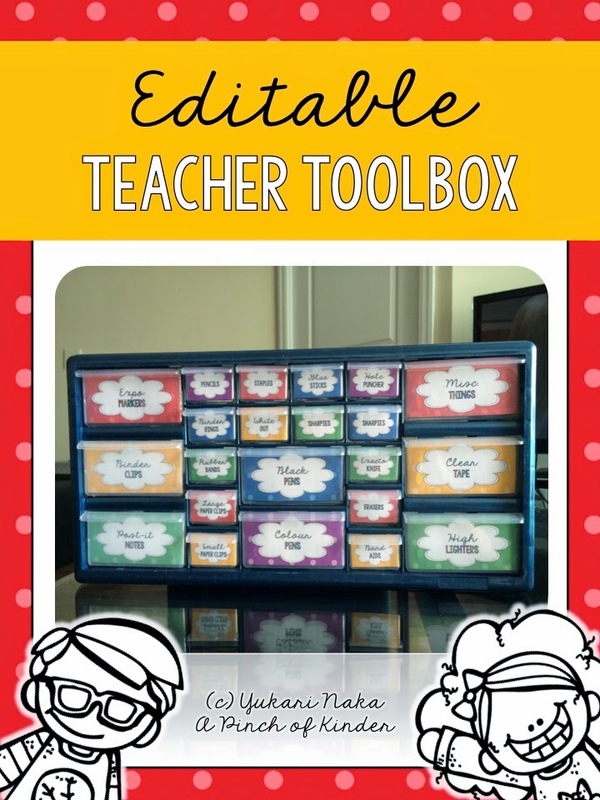 Have you made a Teacher Toolbox before? 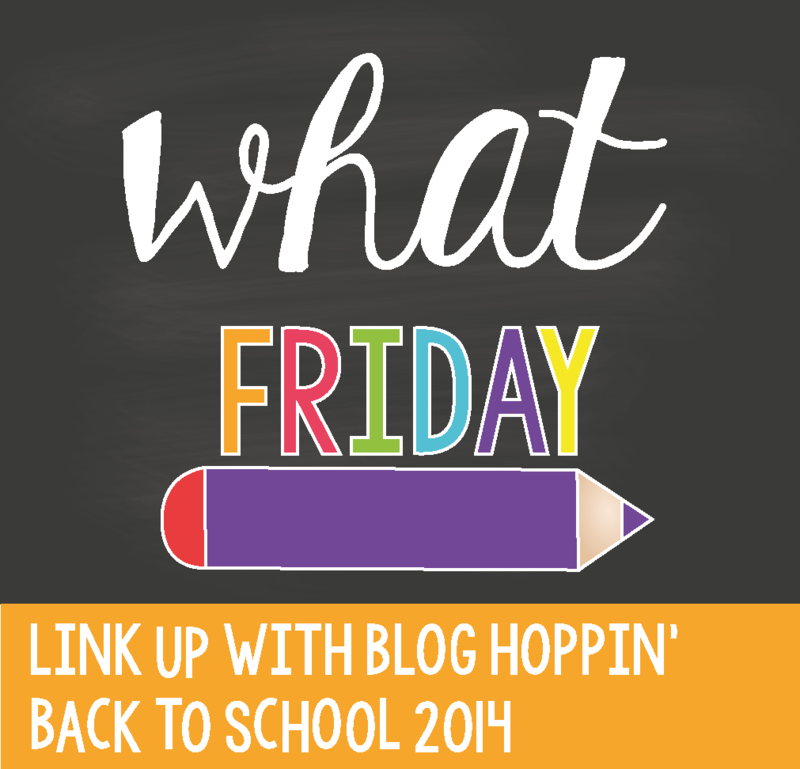 If you have a blog post about your Teacher Toolbox leave the link in the comments! I love checking out other people's toolboxes! 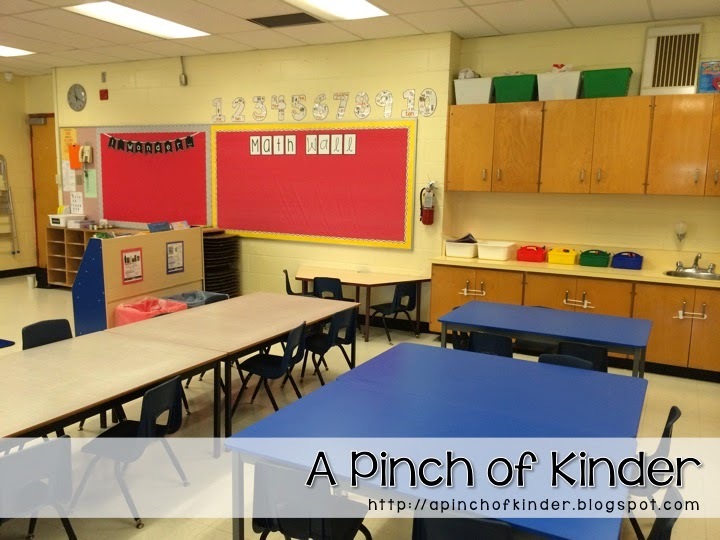 In Ontario, Canada teaching jobs are very scarce. 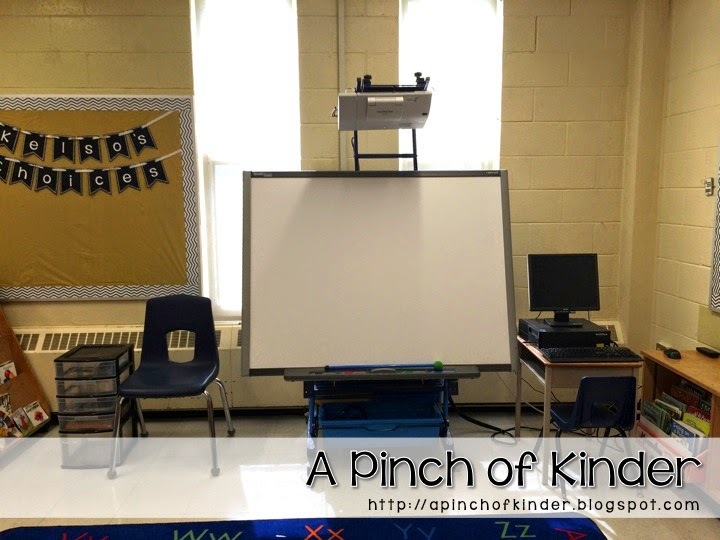 This is my first post in my "Getting a Job Teaching" series. how to better their chances for getting on school boards. with my school board just 5 months after I recieved my OCT. So below are some tips and suggestions for getting that elusive supply list and LTO interviews! 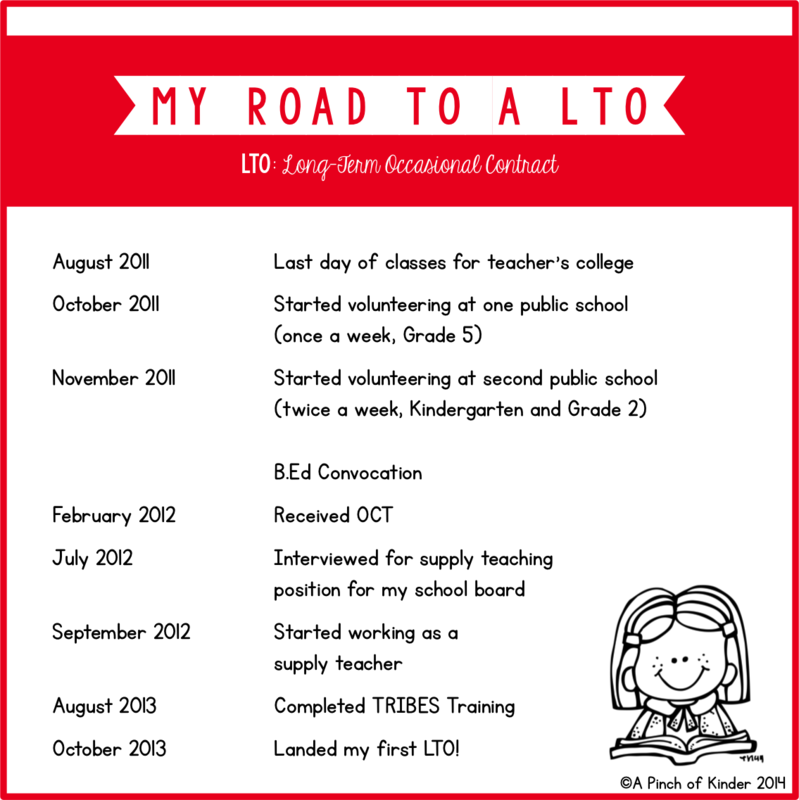 First here is a timeline of my last day of teacher's college to landing my first LTO. got me an interview with my board so quickly. and administration and you stay in the loop about current board initiatives. and you will already know the location and the majority of the kids at the school! AND called the school board to ask about their application. I didn't do that but did send my resume and cover letter by email every month. and you are more likely to get an interview when it does come time to interview. 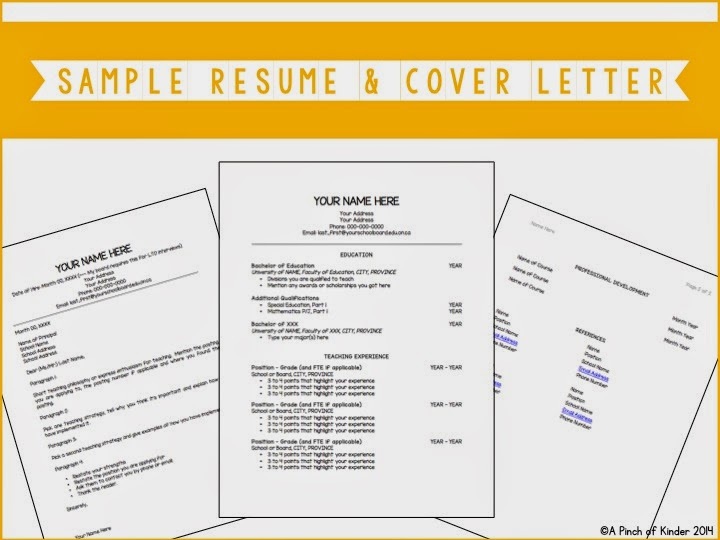 Make sure you update your resume often so it is always ready! ask a friend or a teacher you know to read it over. resume and cover letter. I used it as a guideline when I made mine. 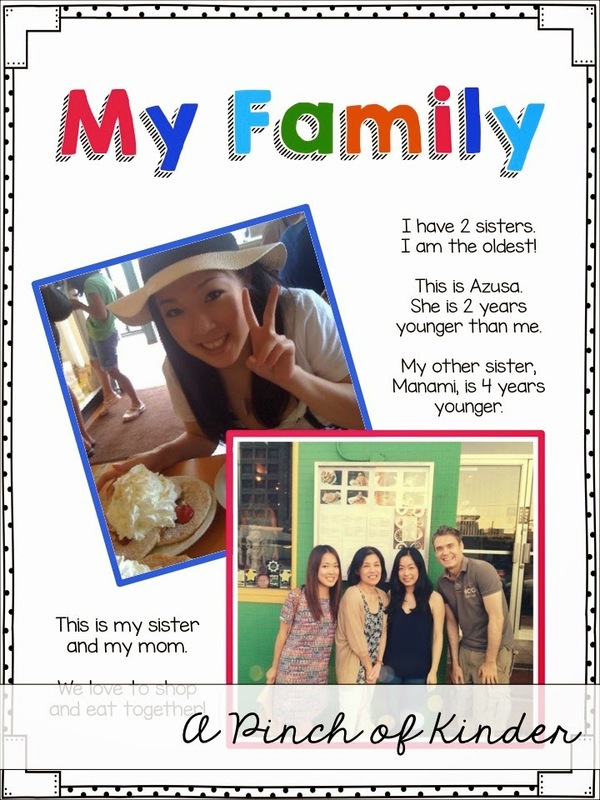 Here is what my resume and cover letter look like. 1. Do a good job every time when you are supply teaching. and leaving the room neat and tidy at the end of the day. I also always leave a detailed note about how the day went. 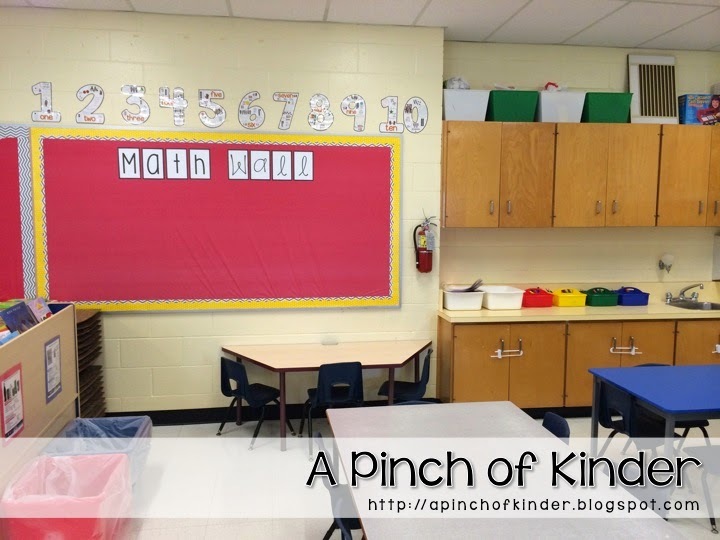 I will do another post about supply teaching tips and come back to link it here. And AQ's are not the be all end all! If you can't afford AQ's then take some free PD. There are usually lots on PD Place. Or I took the TRIBES Training before I got my first LTO. I took it because I wanted to do some PD that summer but couldn't quite afford an AQ. This is not a must and not all admin will ask to see this but it is good to have on hand. lots of pictures that help demonstrate your answer. To read about my portfolio in more detail click here. other teachers and administration to help you get an interview. 1. Get qualified in 3 divisions. If you are P/J, get your I. If you are J/I, get you P! won't even interview you unless you have a third division. 2. Do AQ's that are a board focus. so I took the P/J Math Part 1 AQ this summer. Ask teachers or administration you know and find out what your board is focusing on! and read about the board's focus there. is the Special Education AQ. *Again these are just some advice I have come across or that has worked for me. I cannot guarantee that doing the above will work for everybody. Looking Forward To A Bright Year!